The Nut Tree Inn, Murcott, Oxfordshire, is the celebrated holder of its tenth Michelin Star. Your eXperience includes a welcome glass of English sparkling wine from Furleigh Estate in Dorset. Followed by their 8 course tasting menu + wine match with every course by their award winning sommelier. eXtra course created by Chef + tour of kitchens + Signed copy of a book featuring one of their signature dishes. Value of included eXtras = approx £50. eXclusive Private Kitchen Tour = £Priceless! It’s a family affair at Michelin Starred Nut Tree Inn, Murcott near Bicester Village in Oxfordshire. After being brought up on his Oxfordshire family farm, Chef Mike North bought his local pub, and is now ably supported by his fiancé Imogen juggling front of house and back stage managing his young family of three children, whilst his sister supports as Sous in the Kitchen. Following experience with some of the UK’s finest Chefs including Marco Pierre White, Michael Caines MBE, and Raymond Blanc OBE at Le Manoir, he now applies his classic training into creating equally classic British pub food, but with his own Michelin style. With its small holding at the rear of this picturesque Grade II listed thatched country pub, keeping pigs, and sourcing his produce from farming friends, family and local suppliers who often drop by with a side of venison, brace of pheasants, rabbits and foraged produce, Mike communicates the seasons perfectly on every dish – supported by his close brigade and Head Chef sister Mary. Their acclaimed wine list offers a diverse range of bins, which many customers travel from far and wide for, and to relax in the rear courtyard to enjoy the Summer sunshine, or shelter inside by the open fires in the Winter in the traditional pub or contemporary conservatory. 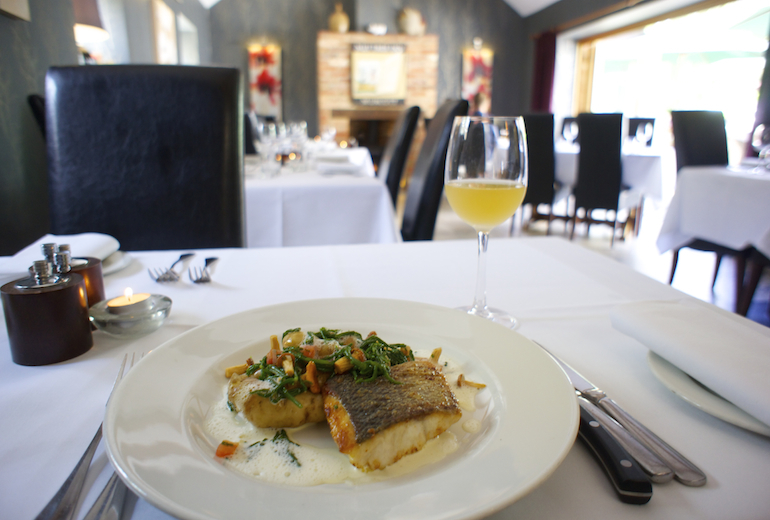 Featured in the UK Top 50 Gastro Pubs, and celebrating their tenth Michelin Star. The only starred pub in Oxfordshire!